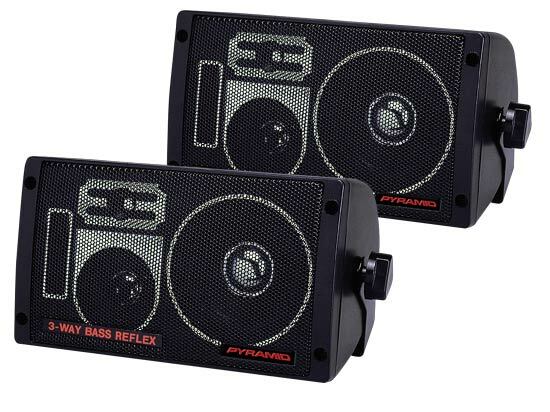 A terrific little box speaker for indoor/in car/in truck use. They are 3 way bass reflex so as a result have a great range with a nice little bass punch. With such a small form factor and versatile mounting hardware they are very easy to install in any situation. Amp Requirements: These speakers are best amped on a traditional 2 Channel amplifier or run from your high power headunit.